Introduce your little kids to a set of color pencils from Staedtler and watch them experiment with each colour. The color pencils are a great medium to inculcate the flair of art in any child. They are sure to build their imagination as they brainstorm and reflect their thoughts on a piece of paper using these different colors. These triangular shaped color pencils give you easy grip to hold it but also ranks high for their stylish and a classy appeal. The soft and rich colored leads ensure long extended durability.Containing 24 different colors, this set of color pencils is designed to perfection as it features a non-slip ergonomic quality. 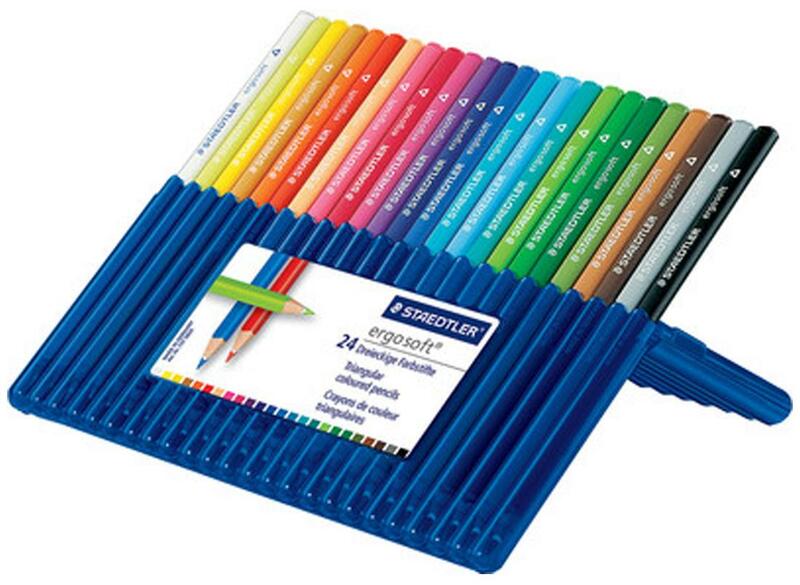 The aquarelle color pencils ensure high credibility when used on sketches and drawings. They act as a vital component in any artists artwork. Get this Staedtler Triangular Shaped Color Pencil home and teach your kids the importance of art. # Containing 24 different colors, this set of color pencils is designed to perfection as it features a non-slip ergonomic quality. The aquarelle color pencils ensure high credibility when used on sketches and drawings. They act as a vital component in any artists artwork. Get this Staedtler Triangular Shaped Color Pencil home and teach your kids the importance of art.